Why the Tour du Mont Blanc? You don’t need to be an avid mountain hiker to enjoy the experience of long-distance tours across the French Alps. If you appreciate the beauty of nature, and love to get some adventure while you are at it, the Tour du Mont Blanc is the sure way to go. During the 10-day trek, you will be rewarded with the picturesque views of the Mont Blanc massifs from various edifying elevations. There are also sprawls of alpine flora and beautiful fauna that will awaken the naturalist in you. On all Mont Blanc tours, trekkers will have the opportunity to dine and lodge in charming little clusters of family-run hotels, Refuges and dorms. What’s more, the walk covers mountain passes and valleys in a clockwise direction that traverses parts of France, Italy and Switzerland. At Salamander Adventures, we have over 30 years’ experience organising adventure holidays around the world. Many of our main staff are accomplished international mountain leaders. 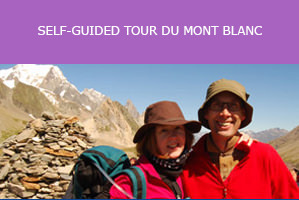 Our specialty is the Tour du Mont Blanc, and we plan treks for about 150 people every year. With our in-depth knowledge of the trail, including walk routes and accommodation along the way, your trip is guaranteed to be safe, interesting and unforgettable. 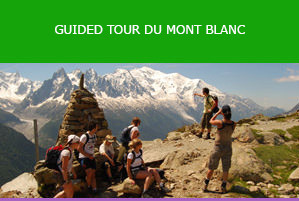 Depending on your choice, we have 3 major tour packages for the Tour du Mont Blanc. The fully guided tour is often for new hikers who aren’t familiar with the walk. For more details and booking visit here. The self-guided tour offers the same level of accommodation as the guided trek, but with independence of the trekkers. See here for more details. The Budget TMB is popular among trekkers who enjoy the fun of a dormitory accommodation. See here for more information. Or call 01273 256753 to speak with a member of staff.